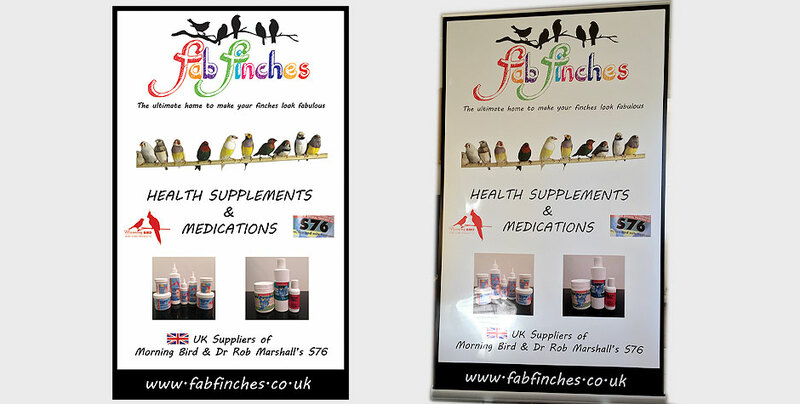 Fab finches come to me asking for a large 1.5m x 1m roller banner design for a new show they were attending in February. We designed the banner exactly based on the sizes given by the roller banner printers. The above photo is the finished result. Its safe to say fab finches are really pleased with their roller banner design.